French C19th antique mercury glass overmantle mirror. 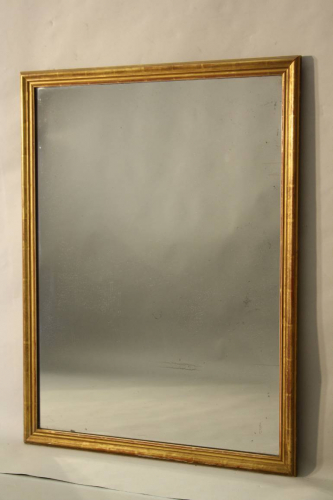 A lovely elegant over mantle mirror with narrow gilt frame and original mercury glass plate and back. French C19th. Can be hung portrait or landscape. There are one or two small areas of ageing in the glass but this does not stop or spoil reflection. Also odd very minor small scratches barely visible.